Up to 180 Deutschland Scholarships are available at the University of Mannheim for the academic year 2017/2018. International students are eligible to apply for this scholarship programme. The scholarships are awarded to promote talent and performance. Scholarship holders will be chosen by the selection committee of the respective school of the university. Applicants will receive a notification of the decision regarding their application. 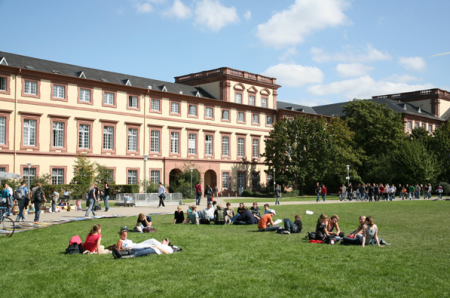 The University of Mannheim is one of the best universities in Germany. This is demonstrated by their success within the scope of the nationwide excellence initiative as well as numerous rankings, awards and surveys among employees. Course Level: Scholarships are available to pursue bachelor’s or master’s program, or a degree in teacher qualification at the University of Mannheim. Scholarship Award: Each scholarship amounts to EUR 300 per month and is funded by a private funding provider and by the Federal Ministry of Education and Research (BMBF), 50 percent, respectively. Number of Scholarships: The University of Mannheim strives to award 180 scholarships. Application for the Deutschland Scholarship is open to enrolled students of all fields pursuing a bachelor’s, master’s, or state examination degree within the standard period of study as well as applicants for one these programs at the University of Mannheim. How to Apply: Students who are already enrolled at the University of Mannheim can apply via the student portal. Once you have logged in to the student portal, you can find a link to the scholarship application in the menu on the left-hand side. If applicable: copies of proofs of personal or family-related circumstances. Now that all the information about 180 Deutschland Scholarships available at the University of Mannheim for International Students has been delivered nicely; talented students who are eager to pursue their Free Tuition/Scholarships/Study in Germany can apply now. Labels: Europe Scholarships, Germany Scholarships, Master's Scholarship, Scholarship.